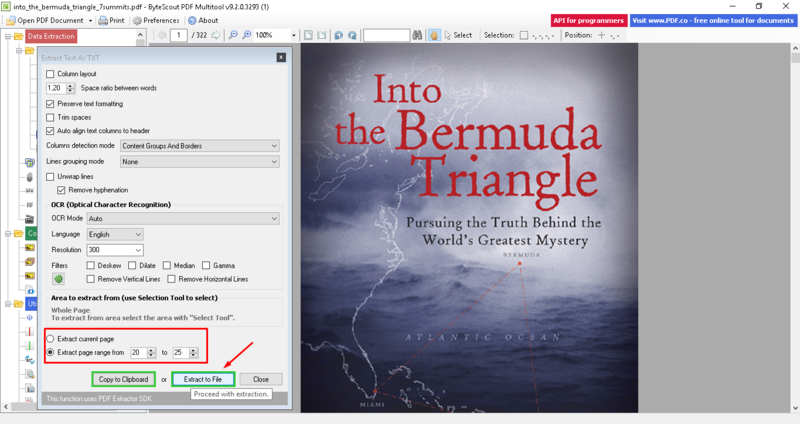 In this article, we offer a short guide on how to extract content from PDF with ByteScout PDF Multitool freeware. You might not need this guide if you already dealt with OCR text extraction tools before. However, if you’re a beginner or you’d like to understand and complete your task fast, we suggest you read this tutorial. I bet you wondered how to extract text from PDF file. This task can be tackled in various industries: banking, insurance, healthcare, POS and automation and many more. A good thing is to find a universal tool that can easily extract text from file just in a few clicks. The faster you finish your tasks – the better. You never know how much time will be attributed to a single task. It is important to complete with most routine steps as fast as possible. In this article, you will find out how to extract pages based on content and then save them as plain text on your computer or copy them to clipboard straight away for further needs. As far as you can perform multiple different functions with PDFs, we prepared other guides for your notice. Check out how you may extract images from PDF. The first thing you need to do is to get PDF Multitool by ByteScout. Once you successfully downloaded the program to the desktop, start testing this smart PDF extraction tool. Run the tool and navigate to Data Extraction section which is completely dedicated to multiple features helping to extract content from PDF. As indicated on the screenshot below, choose Text and data -> Extract as TXT. Upload your PDF file into the tool by clicking Open PDF document and picking one of the files you need to work with. You can either upload or choose Extract as TXT or vice-versa. There is no major difference. Best way to extract text from PDF is to set your own mix of settings that respond to your needs in a better way. That is how the outcome will be successful. The program offers extensive features helping to produce a rich piece of text. Finally, when you are done with all preliminary settings, run PDF multitool! 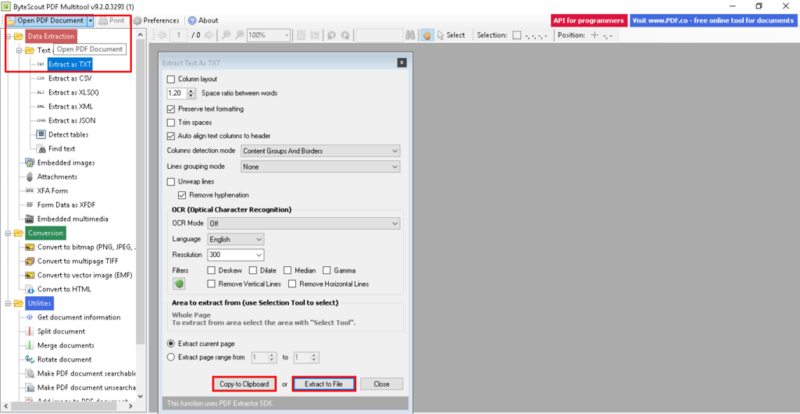 You are able to extract a part of PDF page, you don’t need to process the whole text. Just pick the area or use a Selection Tool for that. You may do the existing page or select a range of pages. You can extract one page from PDF if you are OK with that. In the end, opt for the way you want to see your final text. You may save it to the clipboard and paste anywhere you need to have it, or you may also save it as a separate file. Hopefully, our small tutorial was quite explanative and helped you understand how to extract text from PDF. 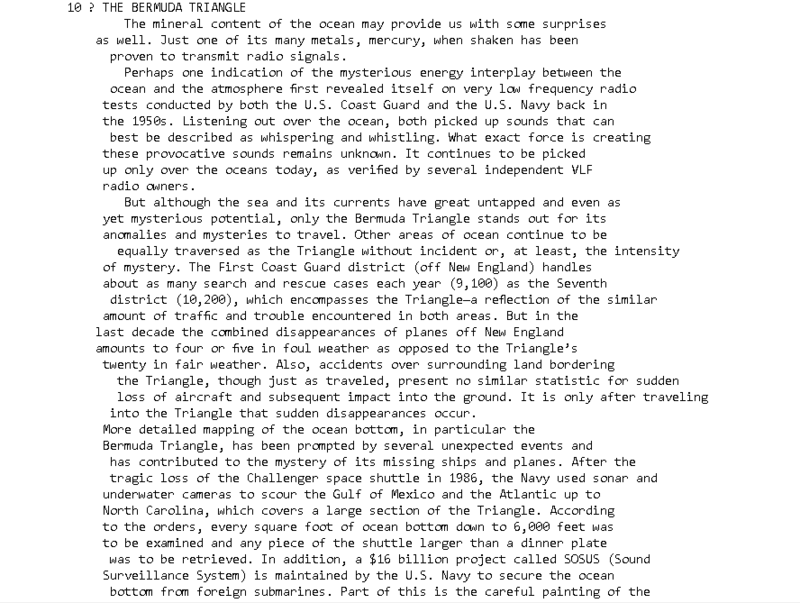 Use PDF multitool deliberately as your daily text extractor. We keep updating the tool and adding more useful functions on a regular basis. Stay tuned at ByteScout!